We have been very cold this winter on a number of days. I hate the cold weather but it has provided an opportunity to take artistic images. 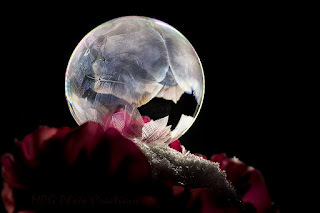 This is another in my Frozen Soap Bubble series that turned out rather well I thought.